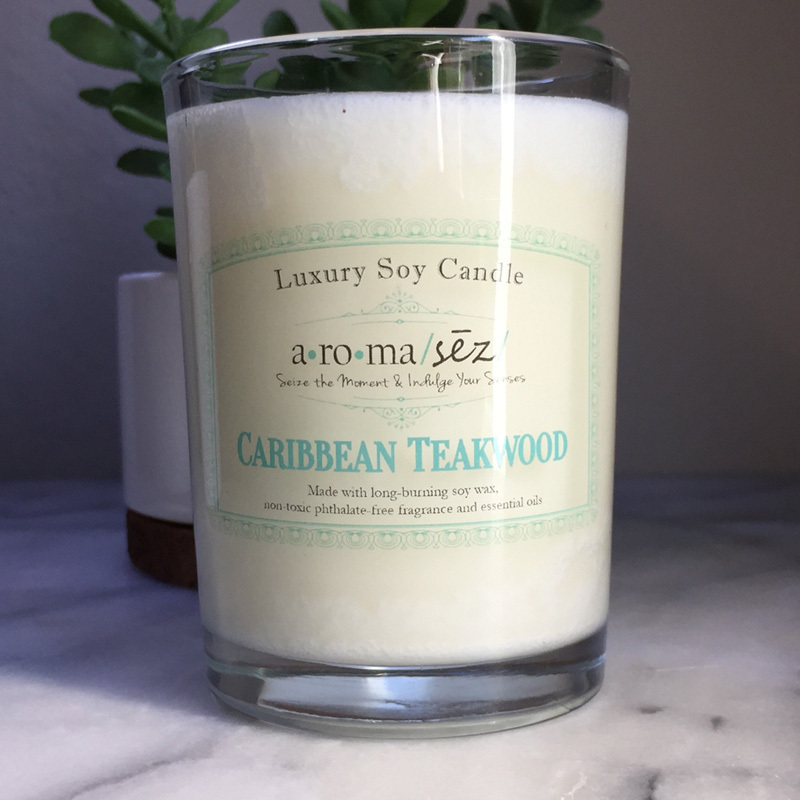 One of our bestselling candles in 2016, Caribbean Teakwood is bold and complex – leading with a top note of leather, tobacco, amber and musk. The middle note is a spicy mixture of black tea and pepper. The base note is aged teakwood with tones of patchouli and sandalwood. This candle is infused with natural essential oils, including cedarwood, patchouli, black pepper, and pimento berry. 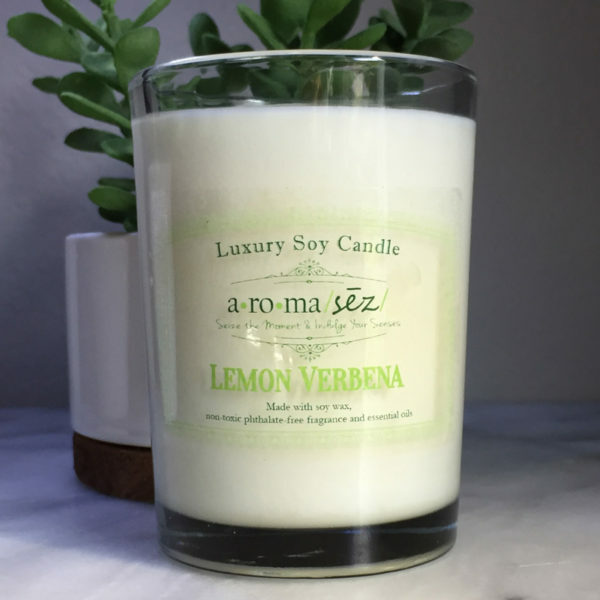 These beautiful, environmentally responsible, soy candles have unique aromas that you cannot find anywhere else. These pure burning container candles are hand poured in thick spa glass containers with cotton wicks for a long, clean burn. We invite you to “Indulge Your Senses” and enjoy this pure Massage Candle made with American Soy wax, and scented with non-toxic, phthalate-free fragrance and essential oils. Every candle is hand poured and burns approx. 50 hours. 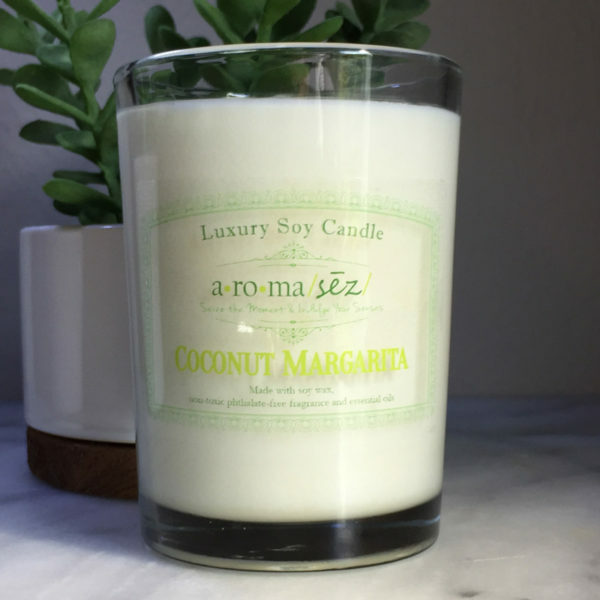 Visit our candle care page for the best way to care for your Aroma Seize candle!